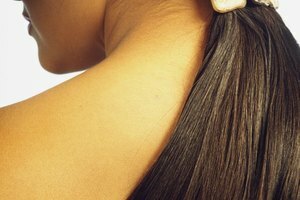 Straightening your hair can be damaging if you're not careful. 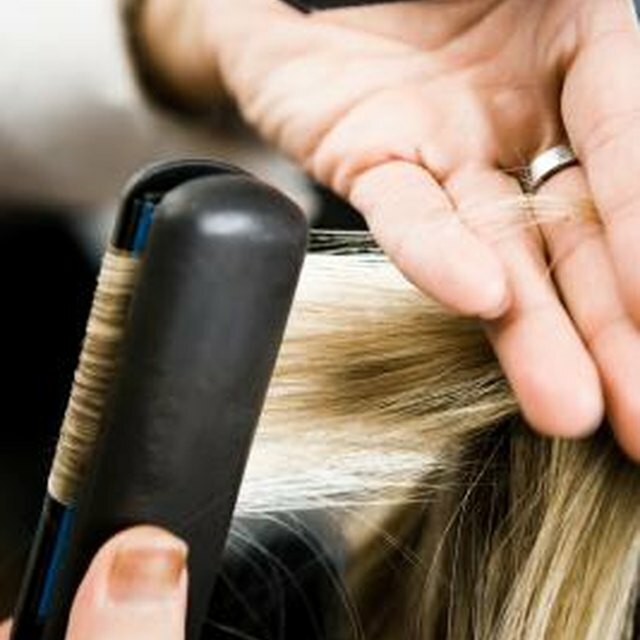 Overuse of styling tools such as straighteners, blow-dryers and curling irons can be damaging to your hair. 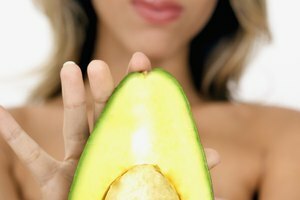 Each time that you use one of these devices as part of your beauty regimen, your hair is exposed to an immense amount of heat. Like most things, however, straightening your hair is fine in moderation -- and doing it once a week is unlikely to cause long-term damage. Take some precautionary measures to ensure that your hair stays healthy, silky and smooth. Take care of your locks with a special heat protectant -- these are essentially the hair equivalent of sunscreen. A great bonus is that these products don't just prevent damage but often boost your hair's shine and beat out annoying frizz. Though heat-protection serums exist, those are best used with blow-dryers; sprays should be used with flat irons. All sprays should be applied evenly prior to straightening your hair, but different products are designed for dry versus wet hair. Check the label of whatever spray you choose. Take note that even though some sprays work best on wet hair, you should never use your flat iron on wet hair. Doing so can cause breakage and frizz. 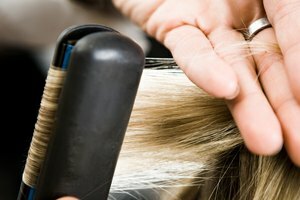 You probably aren't at risk for severe breakage or heat damage when you're only straightening your hair once a week, but it never hurts to give your locks some extra love. Use a deep conditioner once every two weeks; this can be either a preventive measure to take or a repair method for already-distressed tresses. Never overbrush after straightening your hair as doing so is counterproductive. Buy a gentle detangling brush to minimize potential brush-induced breakage. Gray, Mary. "Is It Bad to Straighten Your Hair Once a Week?" Synonym, https://classroom.synonym.com/bad-straighten-hair-once-week-12327.html. Accessed 18 April 2019.